Science teachers are so passionate about what they’re teaching that they’re really open about what science learning can look like for kids with disabilities. Science is a window to the world, and for Carly Roberts, it’s an opportunity for children with intellectual and developmental disabilities to create stronger connections with their peers. 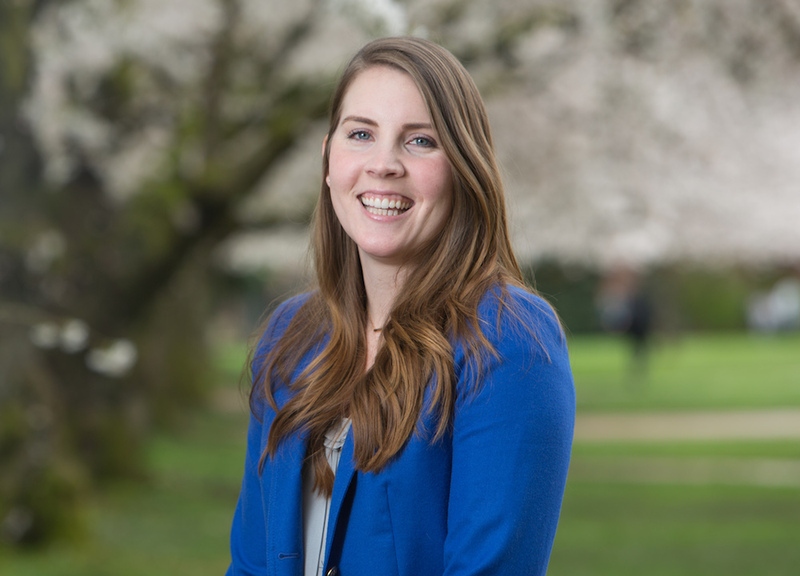 Roberts, an assistant professor at the University of Washington College of Education, recently embarked on a partnership with a local middle school to improve inclusive science instruction for middle schoolers. Her project, supported by a U.S. Department of Education Institute of Education Sciences Early Career Development and Mentoring Award in Special Education, focuses on bringing children with moderate and severe disabilities into science classrooms alongside their typically developing peers. While classrooms on the whole are more inclusive environments than they were 20 years ago, that’s not true for students with moderate and severe disabilities. Now in the first year of her project, Roberts is doing a deep dive in a local middle school, observing classes and working with teachers and administrators in preparation for a roll-out of the intervention next school year. Pre-teaching vocabulary specific to each science lesson for students with disabilities. Teaching the science lesson in a general education classroom where students with and without disabilities work together. A follow-up session involving students with disabilities and their special education teachers that extends concepts learned during each science lesson to functional application in the daily lives of students. For example, Roberts said a lesson might explore how ultraviolet light is produced by the sun and how it can cause sunburn. In the follow-up session, students with disabilities and their special education teachers would talk about why they should apply sunscreen to avoid the harmful effects of ultraviolet light. “We know it’s very helpful for students with disabilities to connect what they’re learning in the classroom to functional skills they can use in their daily lives,” said Roberts, who recently was named the 2017 recipient of the Tom E. C. Smith Early Career Award from the Council for Exceptional Children’s Division on Autism and Developmental Disabilities. In year two of the project, Roberts and her research assistant will model the intervention for teachers at the school with a handful of students who have moderate to severe developmental disabilities. Then, in years three and four, science and special education teachers at the school will implement the intervention in their classrooms while Roberts continues to provide support and work with them to refine the practices. As the intervention is implemented, Roberts will measure and analyze the impact on students’ comprehension of scientific concepts, ability to generalize those concepts to functional skills, socialization skills in the classroom, and engagement between students with and without disabilities. Roberts noted teachers and administrators at the school began working to create more inclusive classrooms several years ago, and were eager to extend their efforts to children with more significant disabilities. Roberts said research has proven children with significant disabilities can learn science concepts, but doing so in an inclusive environment requires science and special education teachers to work together closely, something that’s proven difficult on a large scale.